Summer’s nearly over. Which means the time for having one more great BBQ is running out! In the USA and Canada, Labor Day (which falls on 3 September) is seen as the holiday that unofficially marks the end of summer. What better way to celebrate than with a BBQ? For that, you’re going to be a goo BBQ shopping list. 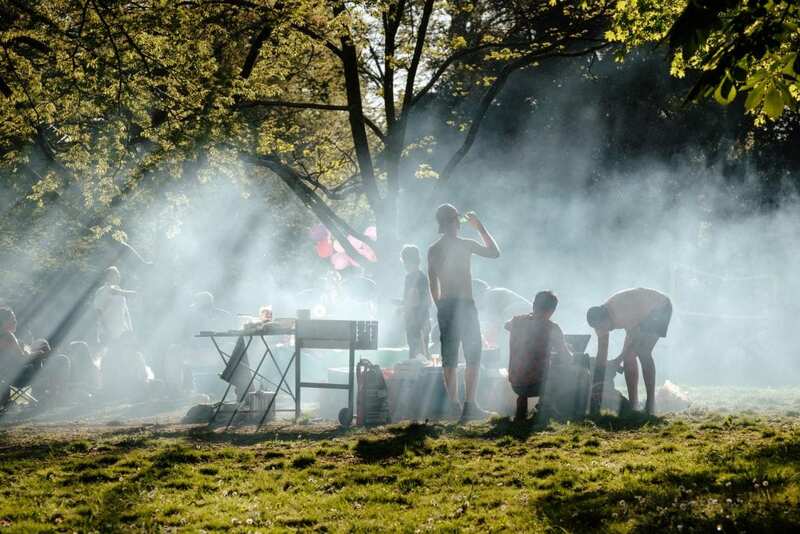 Whether it’s a Labor Day shindig or just trying to make the most out of that last bit of sunshine, BBQs will be had all over the world during the next couple of weeks. Of course, you want your BBQ to be the best. But without getting the basics right, you’re not going to reach the heights of BBQ legend that you’d like to. Get these BBQ basics wrong and your BBQ will be: basic! But BBQs are about far more than the food you’re going to cook. It’s about how you cook it, what you use, and how you deal with everything else. So check out this basic BBQ shopping list and tips to get things to heat up the end of your summer properly. If you’re super keen to fire up your bbq, then you can skip straight to our free printable basic BBQ shopping list. We`re not going to give you recipes and suggestions here. There are simply far too many ideas already out there on the internet. You know what you and your guests want better than we do, so buy whatever you want. But when buying sausages and burgers, make sure those on your BBQ food list they have a high meat content. Anything above 80% is what you’re aiming for. Less than 80% means that these burgers or sausages are filled with things like grain and water. This means the food won’t be as tasty as it’s not as meaty. Furthermore, don’t try and cook too many different varieties of food. Different food needs different cooking times and heat. Going for the full gamut of meat and veg will only make it difficult to time and cook properly. Pick a couple of items and take time to do them well. Your guests will much prefer quality over variety. Whatever you cook, you`re going to need some BBQ sauce: it’s a BBQ shopping list essential! But be careful about when you add it. Don’t add it to the food too early or the sauce will burn and coat your food with untasty charred bits. It will also make it more difficult to cook the inside of the food increasing the risk of giving you and your guests food poisoning! Don’t forget things like cling film to keep dips and sauces fresh and fly-free, and aluminium foil to keep food warm. Handily, aluminium foil can be used to clean the grill grate afterwards, too. When scrunched up it’s coarse enough to remove burnt bits, but it’s not so hard that it will remove the grill’s coating. If you’re planning on cooking a lot of food, be sure to bring some extra empty plastic containers for you or your guests to take home any leftovers. If you’re BBQing in a park and not in your garden, bring a cool box and some ice blocks. Not only will is keep your drinks nicely chilled, you can use it to keep any uncooked food fresh for the trip back home meaning you won’t need to throw it away and waste it. Of course, your guests are going to need something to eat with and on. You may also need extra spoons and extra knives on your BBQ shopping list for dips and spreads. 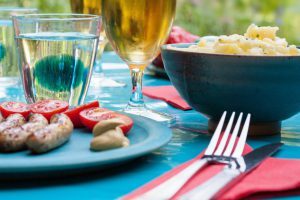 Plastic cutlery and crockery are the staples of BBQs, but these days there’s a lot of concern about plastic’s effect on the environment. As durable and convenient as plastic cutlery is, it’s a major part of our plastic problem. The Pratt Institute found that plastic cutlery formed more than 20% of California’s plastic waste, and countries like the United Kingdom are even considering banning plastic cutlery and plates outright as it makes up 70% of plastic that reaches the oceans. So maybe it’s time to consider more environmentally friendly options. Bringing your home’s metal cutlery, glasses, and ceramic plates means you can take them back to wash up later. You can really cut down on your waste this way. But you need to be prepared for things to get broken or lost. You’ll also need to transport these to and from your home. Whilst trash friendly, this can be inconvenient as transporting these can be cumbersome and heavy. If you do want to use your glassware, be sure that there aren’t any children attending, or any clumsy friends either! So, are paper cups and plates the best option? Well, they are biodegradable. But they can be flimsy, making them more trouble than they’re worth. Guest want their food and drink in their mouths, not in their laps! One other option is: edible plates! These aren’t easy to get hold of at the moment, but if you can you’ll be hailed an eco-warrior by your guests. You can even get edible cutlery too if you want to go for the full range of tableware you can eat. Speaking of cutlery, you should look out for wooden cutlery or even cutlery made from plant starch. You can also get plant starch crockery. These are sturdier than paper and also biodegradable. If you must use plastic, check your recycling facilities to see what type of plastic they can recycle. Then, try and buy plastic crockery and cutlery that you can add to your recyclable waste afterwards. 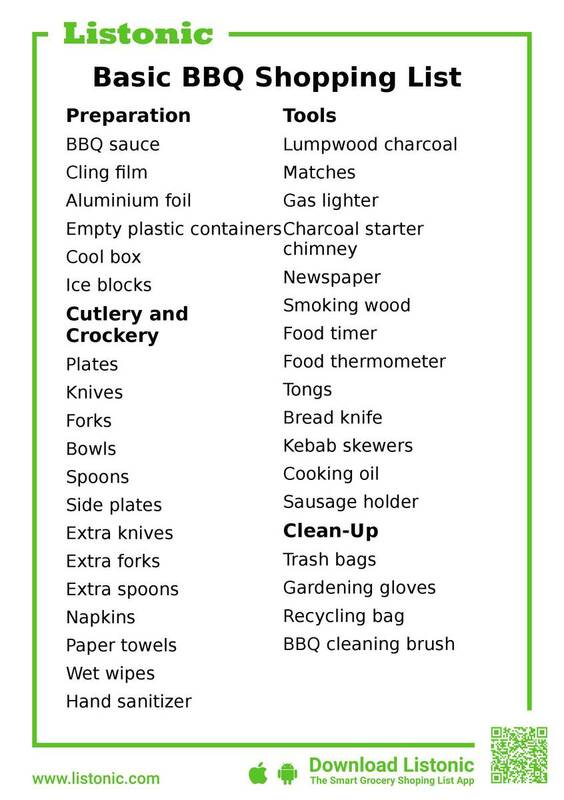 For example: if your facilities can’t process P4 or P5 plastic, avoid buying crockery and cutlery made from these types. Paper work well, but consider cloth ones that you can wash at home and re-use next year. Regardless, you should still have some paper towels handy to help clean greasy hands. These are designed to absorb grease as well as liquid making them generally better for cleaning up mucky faces than facial tissues. You might also want to consider some wet wipes for the same purpose. Also get some hand sanitizer so your guests can keep hands germ-free, especially if access to running water is difficult. But buying it was only half the battle. Now you have to cook it. Making sure you have enough charcoal is a no brainer, unless you’re cooking on gas. 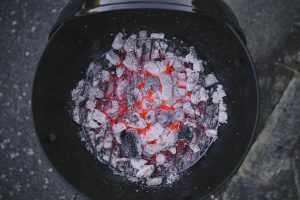 Lumpwood charcoal is generally considered better to grill with than charcoal briquettes as they add a smokier and more natural flavor to the food. 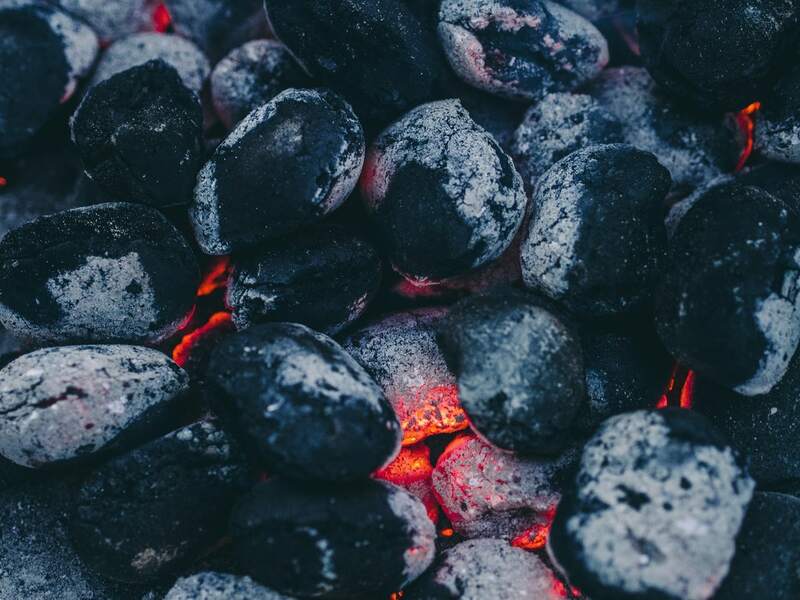 Self-lighting briquettes might sound convenient but you you risk adding chemical flavors and fumes to your food from the chemicals used to make them easier to light. But if you’re not buying self-lighting charcoal, how are you going to light the BBQ? It’s not easy and some reckon it’s truly an artform! So what should you use to light your BBQ? Matches are the first things that come to mind but these can be unreliable and you risk burning yourself. Cigarette lighters are even trickier and more dangerous! But these can be used as a last resort. Instead: use a gas lighter. These have nice long tips meaning you won’t burn yourself when lighting the BBQ. You can also use them to light things in hard to reach places. As they use liquid gas, there’s less chance of the flame going out in breezy weather. One thing you should absolutely avoid putting on your BBQ shopping list is BBQ lighter fluid. This tends to create high flames for a few seconds but usually fails to light the coals first time around meaning you’ll have to add more and more. What’s worse is that too much lighter fluid can also leave a chemical taste to your food. Lighting blocks are more reliable, but you still risk them leaving that nasty taste. The best way to light your BBQ is to invest in a charcoal starter chimney. The vertical design means heat is naturally and quickly drawn upwards lighting your coals fast and evenly. If you want to add some extra BBQ flavor, then add smoking wood to your coals. These will add a smokey kick to your food. If you soak them at least an hour before using them (overnight is best) the moisture creates more smoke, which means more flavor. Now that you’ve got your BBQ going and your food cooking, what now? To get the best out of your BBQ, use the lid. This locks in the heat and turns your BBQ into an oven, meaning the food will cook more thoroughly and evenly. If you don’t want to buy a physical food timer, you can always use your smartphone’s inbuilt timer, or even download a timer app. Next, you need to know if the food is fully cooked. What do you do to ensure things are cooked properly? Give it a little prod, right? Wrong. Different types of food all feel different when they’re done. Unless you’re a professional, poking and prodding is a very ineffective way to tell if food is cooked. Stabbing it to see if it’s still pink in the middle makes all those tasty juices run out. Instead, use a food thermometer. Just pierce it through into the centre of the food, and if it’s the optimum temperature for that food: viola! It’s cooked. If you’re using wood kebab skewers, remember to soak these overnight to stop them catching fire or burning. If you’re using metal kebab skewers, coat them with a little vegetable or sunflower cooking oil to stop the food sticking to them. If you’re grilling sausages or hot dogs, you might even want to consider a sausage holder which makes it easier to cook sausages on both sides without fear of them falling off the grill and into the coals! You’re BBQ was a resounding success. But now comes aftermath: clean-up. One thing you’ll certainly need on your BBQ shopping list are trash bags. But be sure to buy thick ones. Cheap thin ones break easily, meaning you’ll only make more mess when cleaning up. Thicker bags are not only stronger but there’s less chance of a kebab skewers sticking through and hurting you. You might want to also get some gardening gloves. This isn’t because you’ll be planting any flowers, but because these will protect your hands from any sharp surprises during clean up. If you are planning on taking things home to recycle, don’t forget recycling bags so you can sort your recycling there and then rather than leaving it until later. If you are having a BBQ in the park and the bins are all full, try not to leave full bags on the floor next to the bins. Please, take the home with you or find some empty bins elsewhere. 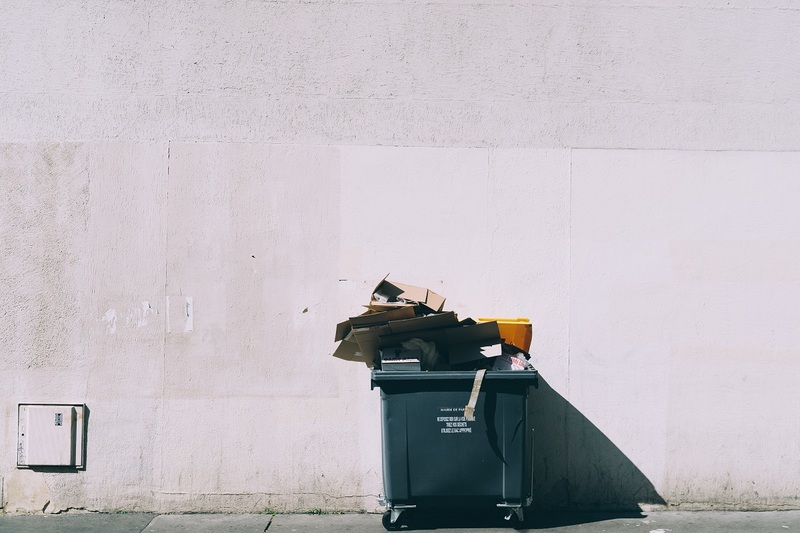 Whilst park officials will eventually clear away the trash, until that time animals, such as bears, foxes, and raccoons, can easily access the trash bags on the floor. They’ll break open the bags to get at any leftover food creating a real mess. Whilst other items in your trash can make them sick or cause injury. It is more work, and carrying trash around is unpleasant. But your park officials will be very grateful as you’ll keep wildlife safe and your park looking lovely. Then, there’s the grill that needs cleaning. Or does it? 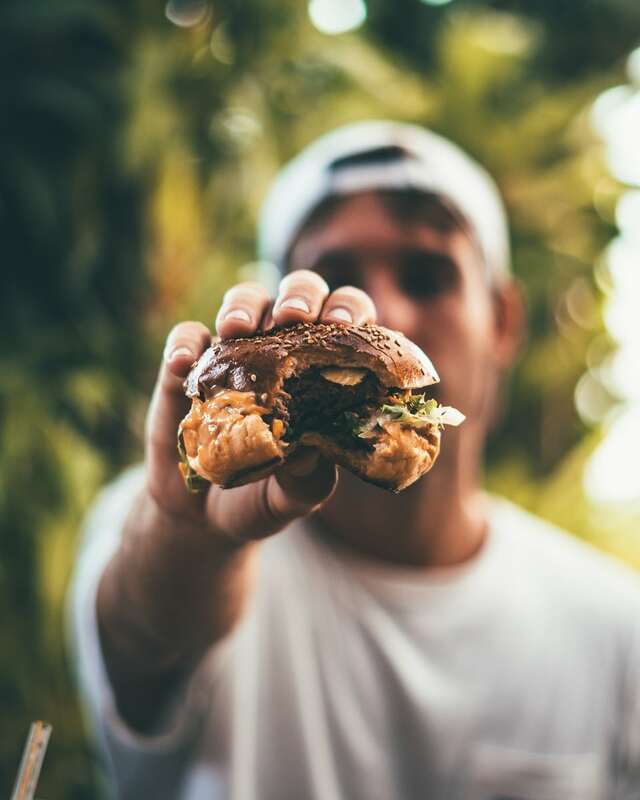 Some say you shouldn’t clean it straight away if you’re grilling regularly, as the grease and charred bits of food on the grill is said to prevent it from rusting. Therefore, you might want to consider cleaning the grill just before your next BBQ after warming it up. Regardless, you should get a good BBQ cleaning brush. This will ensure all the bits of food and grease will be removed before your next BBQ adventure, meaning it’ll be hygienic and bits-of-old-food free. tips to up your BBQ game? The coals are lit and are nice and hot. You want to start cooking now, and your guests are hungry! 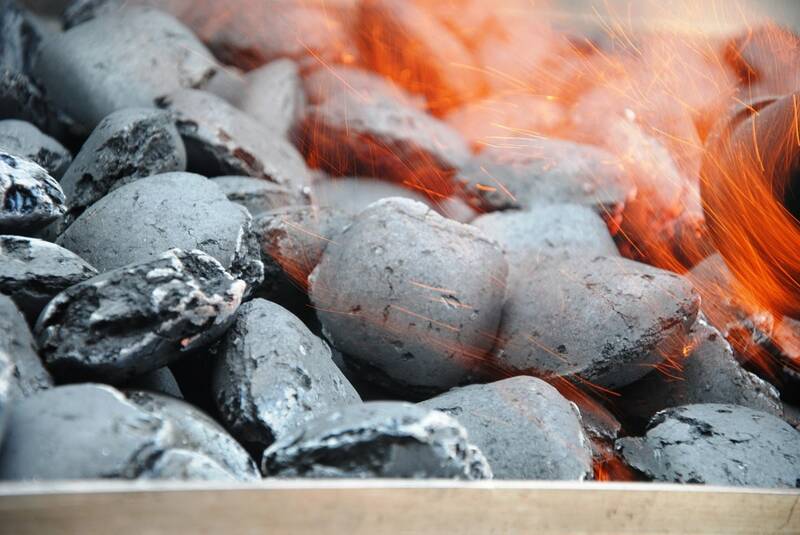 However, you need to wait until the coals are covered in a grey ash before the BBQ is at its best to cook with. This will usually take about 15 minutes. which will feel like a long time when standing at the BBQ waiting for them to turn grey. So how about setting that food timer we talked about earlier, mingle with your guests, and check back on the coals when you hear it go off. It’s tempting to spread all the charcoal evenly around the entire grill. This means it’s nice and hot everywhere. But you can cook smarter by doing things differently. Split your BBQ in half and put more coals on one side, and fewer, or none, on the other. You can even put less or no coals down the centre. We’ve all done it. Take the meat straight out of the fridge and put it straight onto the BBQ. But you should actually take the meat out about 30 minutes before cooking. Because cold meat takes longer to cook. Also, cooking cold meat on a BBQ means the inside is more likely to be uncooked. If you let it warm up to room temperature before cooking, this is less likely to happen. Good things come to those who wait, and that includes BBQ food. Once you’ve cooked the meat let it sit for a few minutes. This ensures the juices are sealed within it as they’ll cool and thicken. Now that you know the BBQ basics you’re ready to be a BBQ boss! 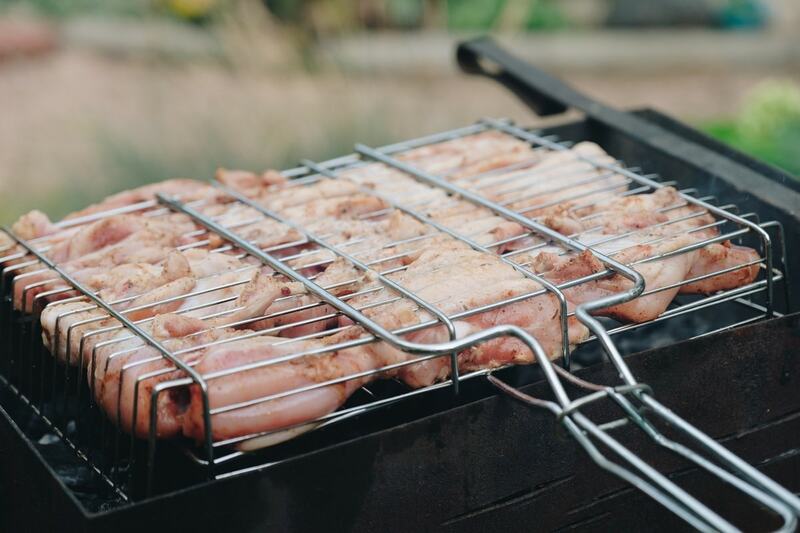 You’re going to see summer off in the best possible way with the best possible BBQ, especially when armed with our free printable BBQ shopping list. Do you have any other top tips for your BBQ shopping list? Do any of the tips in the article work particularly well? Let us know in the comments.